We are loving our tour through the United States. 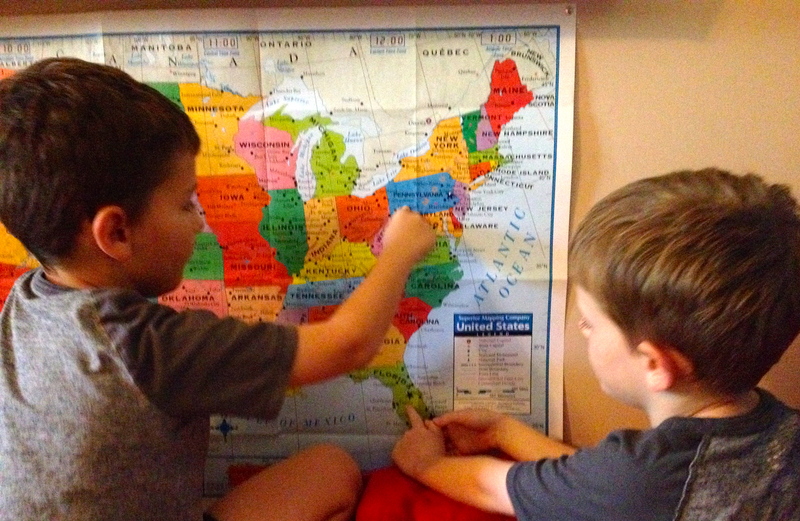 The boys memorized all fifty states and capitols last year during Cycle 3 of Classical Conversations. They also tackled all the geographical features and memorized many different important pieces of American History in their weekly History sentences. I’ve loved watching all this information burst out of them at different points this year. I was initially worried that the State Study would not be enough on its own for them. But once again, turns out what MFW has prepared is more than sufficient! I comb-bound all our state sheets into one notebook for each boy and purchased a special set of Prismacolor colored pencils. The boys know these pencils are very special (aka mucho dinero) and are only to be used with our state sheets. I love seeing the special care they have taken with these new tools. Its made them work carefully and their trademark little boy sloppiness has diminished greatly as the days pass. They are eager to shade their state birds just so and capture the exact color of each state flower. While the boys work on their State Sheets and Lego State creations, I read from various books. We have been using the suggested book list from MFW, but I have also incorporated a book of collected poems by Lee Bennet Hopkins entitled, “My America: A Poetry Atlas of the United States.” I also try and include readings from a few poets or authors hailing from the states we are studying. We usually glean these authors from the list of state poet laureates. (PS There are FIVE states with Official State Poems). Lastly, I read the next book off of our Beautiful Feet Books list. I will be posting our list and references soon so be on the lookout! We’ve read so many wonderful new books in the last two weeks. Its fun watching the boys play “raise the barn” or make knick knacks around the house to sell at Portsmouth Market like the Ox-Cart man. Some days the reading outlasts the work at hand. 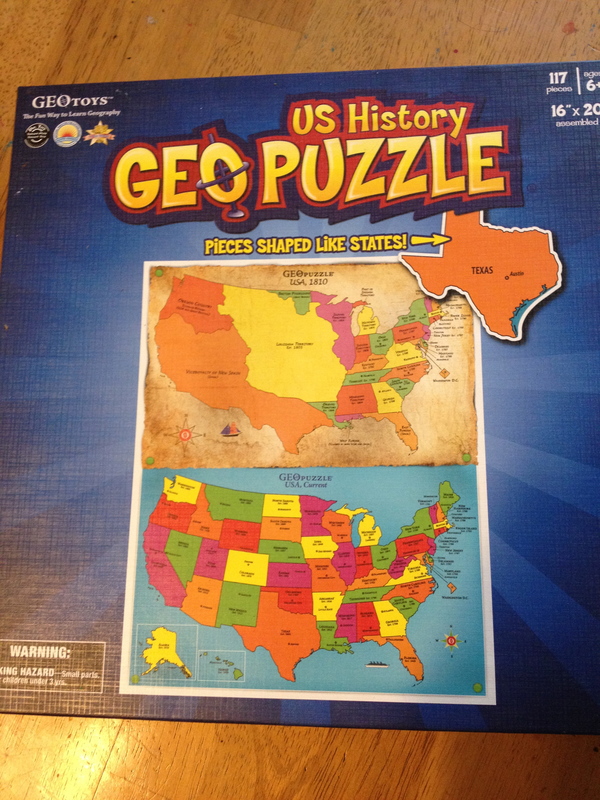 On those days the boys rush to pull out their much adored US History Geo puzzle. Some days the work outlasts the reading. On those days I rush to find a bottle of my much adored Essie nail polish. The littles stay engaged by coloring their own states sheets and then making states out of play doh. 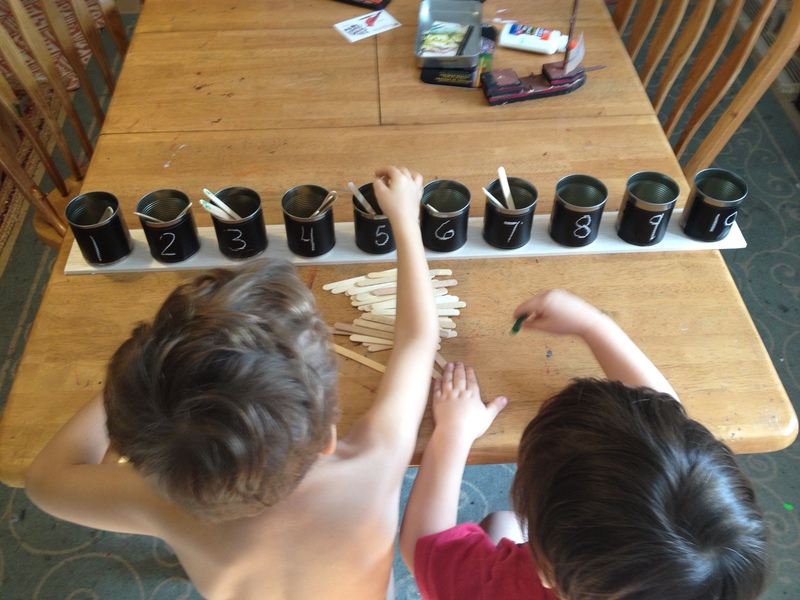 Other times they prefer to stick with their own motor skill/sensory play activities. I have honestly spent more time in the last two weeks preparing activities for the younger boys to engage with so that our older boys can focus well on their work. Of course, this means that when the older boys finish their work they rush over to see what their younger siblings are up to and the join in the play! Our study of birds is progressing beautifully. I am in love with this portion of Adventures! Having the Everglades nearby blesses us with a large variety of birds year round. This gentle introduction of state birds has blossomed into a new hobby for my children.We’ve started collecting feathers and nests. The eldest has asked for several new books on Audubon’s life. 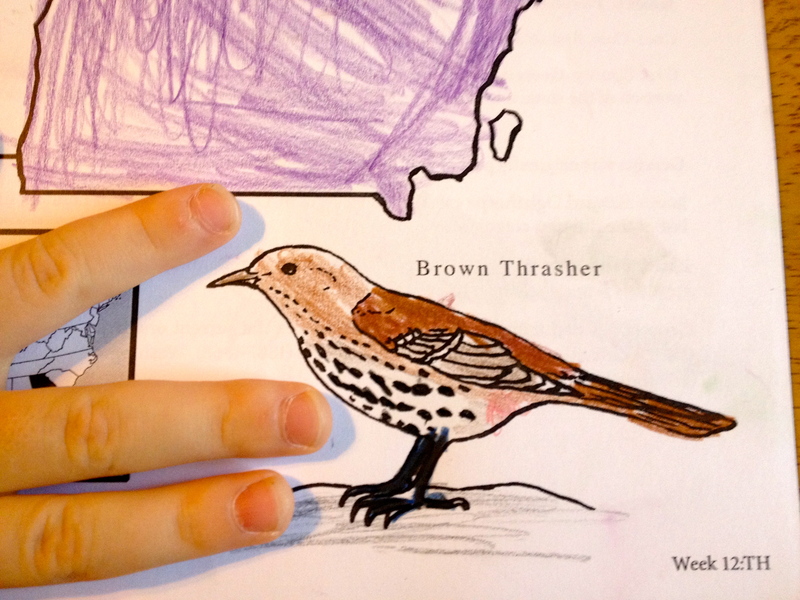 We are eager to learn about the birds in our area and are planning a field trip to our local Audubon base. 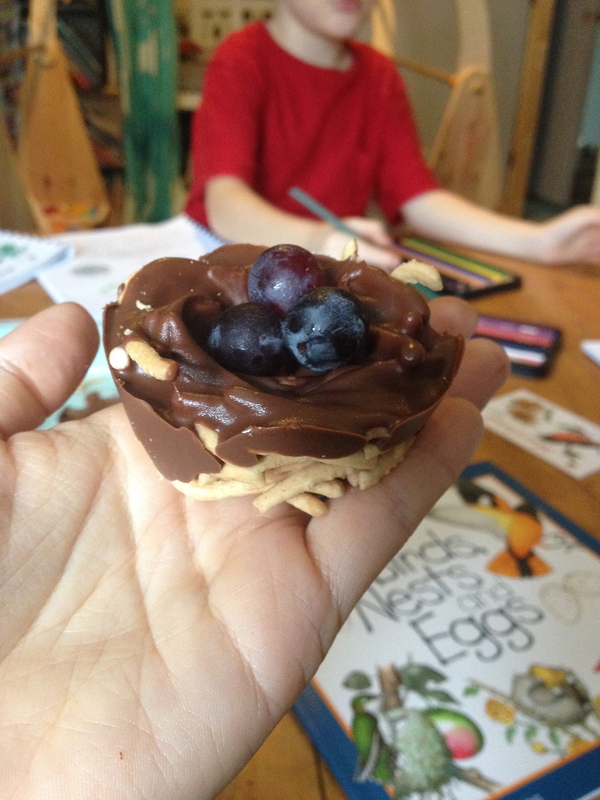 Pretty much everyone was happy… until they realized we would not be making a delicious chocolate nest treat every single time we studied a new bird. Oh, the drama! Training the boys to observe nature quietly is not easy. I’ve armed them to the teeth with binoculars, notebooks, cameras and colored pencils, hoping that occupied hands would silence voices that lack volume control. This plan met with mixed success. 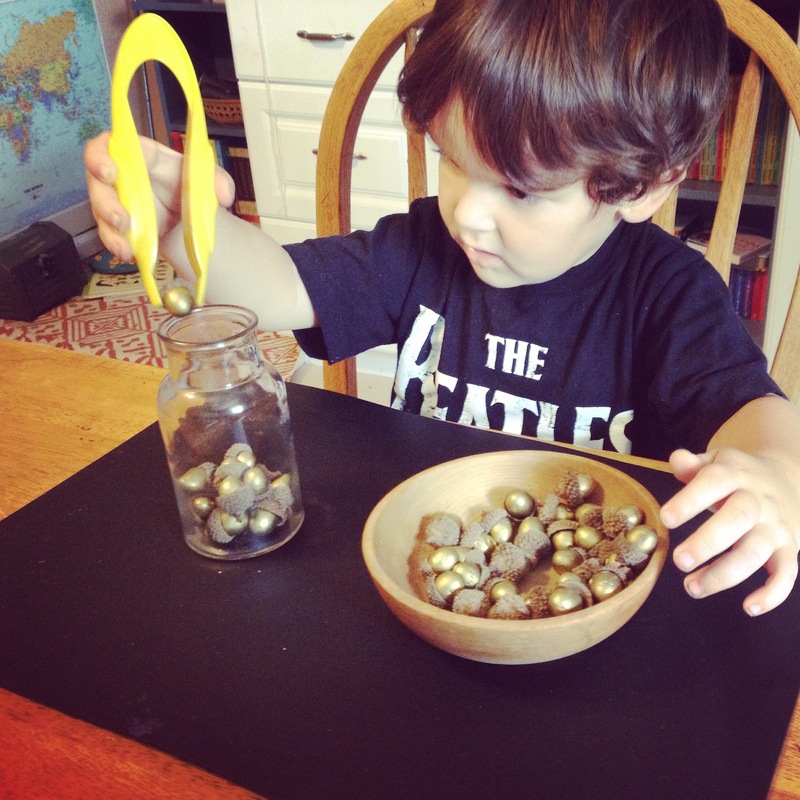 I finally realized that merging the toddler’s snack time with our nature walks was the way to go! A recipe on my blog. This may not ever happen again, so enjoy it…. Step 1: Cut granola bar into bite sized squares. Step 4: Place in fridge until hardened. Or place in freezer as an extra treat for teething toddler or as a tooth loss motivator for your 7 year old and his loose tooth thats been hanging in there for two months without falling out. Sigh. Step 5: Place in baggie and take along on your nature hike. Next week, we will be writing up a more thorough look at our bird watching activities. It will most certainly not be a “how to” guide, more like a “don’t you feel better about your nature walk/life in general now?” kinda thing. Tears and laughter abound. Speaking of life in general. The humidity is starting to dissipate! Its still warm, but its bearable. As in, I no longer feel like I am walking in a can of soup when I walk outside. 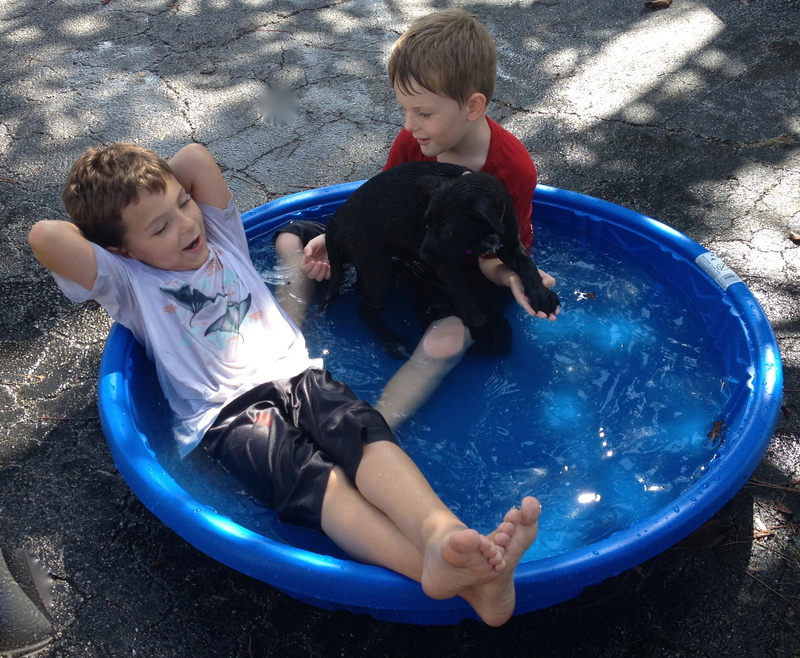 From this point on, any schooling that can be done outside—will be done outside! Hooray! Time to bust that picnic basket out of storage. Anyone else adoring “Farmer Boy” by Laura Ingalls Wilder? 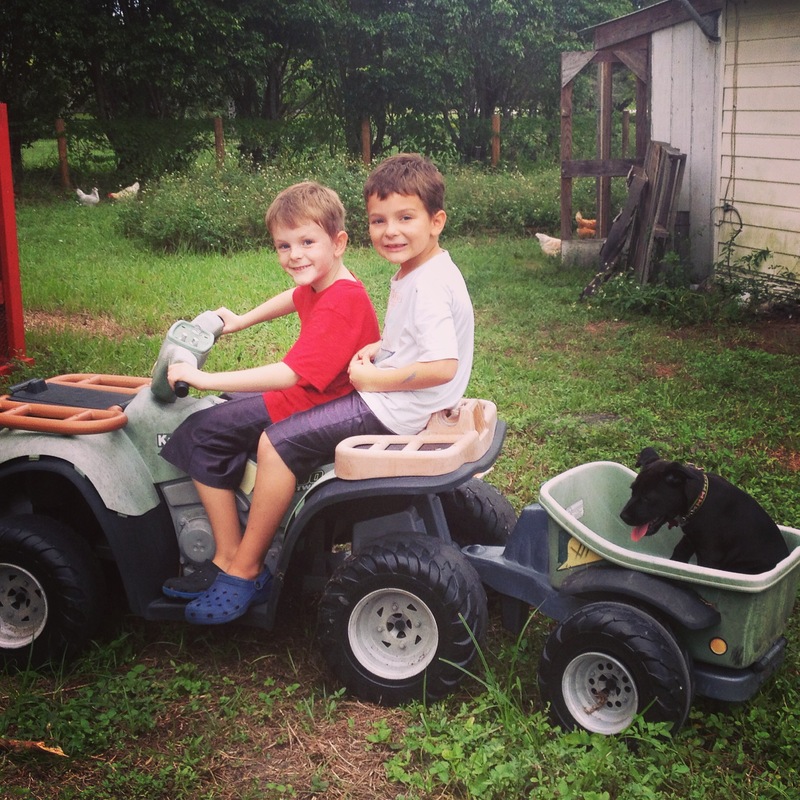 Its inspiring the boys to get even more involved on the farm. Training the new pup to guard the chickens, pulling weeds and helping mark out garden plans. Its going to be a lovely, all hands on deck, kinda Fall! How about the recipe for your “nests?” Chow mein noodles and chocolate? Yes!!! Very simple. 🙂 Chow mien noodles + chocolate assembled on wax paper and hardened in the freezer!